Editor’s Note: The contents of this letter have not been edited and appear exactly as submitted to The Eighth Man and USQ Management. The Eighth Man welcomes letters to the editor and article submissions from the general public on our website. The views expressed in these letters and articles, and in personal editor responses, are the opinion of the authors and are not necessarily the views of The Eighth Man. Send your work to editors@eighthman.com. 1. The cancellation of the final bid game. 2. No Midwest collegiate champion being decided, nor were the semi-finals games completed. 3. The community team games being canceled at the start of day two. 4. A shortage of medals for community teams. 5. Use of a local team’s equipment on day 2 which caused extended travel for the local team. 1. Multiple teams being told they were playing on the same field at the same time. 2. Teams waiting several hours in inclement conditions to play games, only to be told later that their games were moved or scheduled for a later time which resulted in injuries to players. 3. Referees were given incorrect information resulting in referees not showing up to the correct assignments. 4. An incomplete gameplay and referee schedule. 5. Games being suspended halfway through. 1. Securing locations for regional and national tournaments with turf fields and lighting. 2. Contingency plans written before every regional and national tournament that take inclement weather and other unforeseen circumstances into account. 3. A proper volunteer staff with clearly defined roles and hierarchies. This should include, but should not be limited to regional tournament directors, regional volunteer coordinators, regional gameplay coordinators. 4. Communication with the individual regional communities during the planning and running of regionals. 1. We demand that US Quidditch writes a formal apology to the Midwest Region for failing to competently facilitate Midwest Regional Championships 2018. 2. 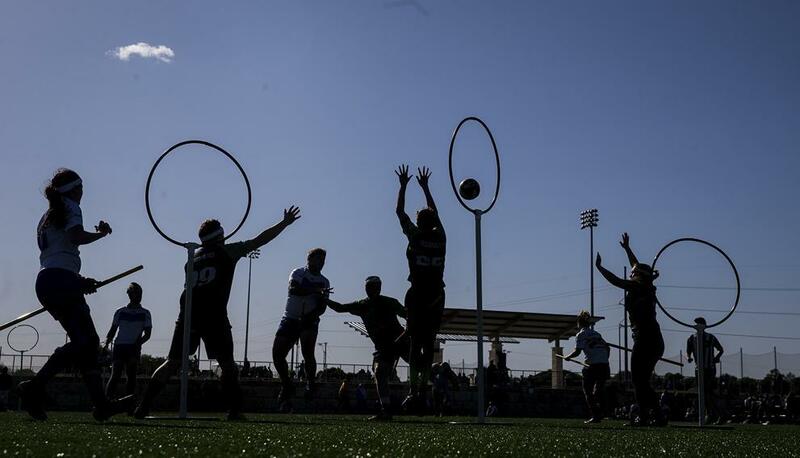 We demand that US Quidditch creates a plan of action, outlining tangible actions they will take in order to ensure regionals are facilitated competently in the future. Taking into account the suggestions outlined in this letter. 3. We demand that every regional and national bid location have turf fields and lighting. 4. We demand that US Quidditch creates a new policy that ensures any future canceled national bid game is rescheduled, rather than left up to a tie-breaker policy.